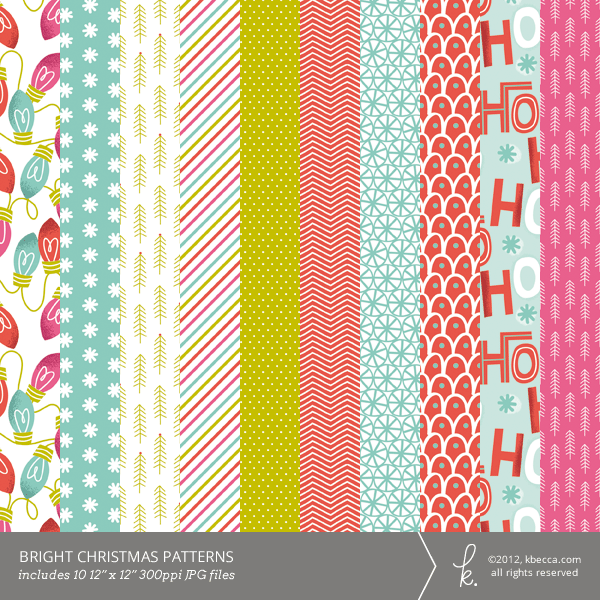 The “Bright Christmas” digital printable patterned paper collection includes a bevy of merry and bright patterns for all of your paper crafting and scrapbooking projects. 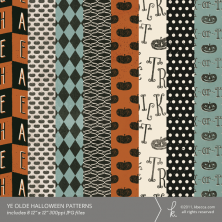 Patterns include Christmas lights, ho ho hos, stripes, dots, chevrons, and more, all with a clean, mid-century modern feel. 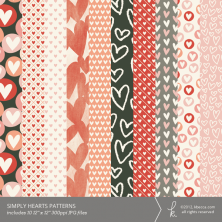 This festive collection includes 10 12″ x 12″ high resolution (300 ppi) JPG digital patterned papers.